Rocket’s twist on a Newfoundland tradition! 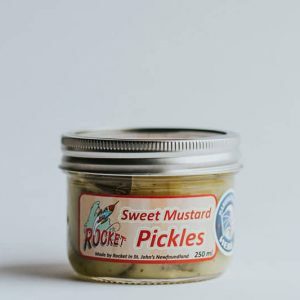 Our Sweet Mustard Pickles are a tangy rich condiment, prized for generations at the side of a plate to liven up the plainest of foods! All purpose seasoning for chicken, turkey, duck and wild fowl!